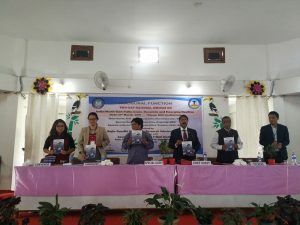 A two-day national seminar on ‘India/Northeast India: Issues, Dynamics and Emerging Realities’ was inaugurated by Rajiv Gandhi University vice-chancellor Prof Saket Kushwaha at the varsity campus of Rono Hills near Itanagar of Arunachal Pradesh Monday. Addressing the gathering, Prof Kushwaha applauded the relevance of the seminar. He expressed his hope that the two-day researchers’ meet will stand good stead for the scholars in benefitting from the academic conference. Emphasizing on the need for quality and originality of the research, he impressed upon the scholars to carry out comprehensive study having a good impact factor. “Develop good content in whatever you do, because the pattern of selection has changed intensely in recent times. Harness the resources available and brace yourself for a future where the supplies are more than the demand,” the RGU VC told the researchers. In his keynote address, Prof Amitava Mitra, Director IQAC RGU, concentrated on the regional issues of Northeast India. The richness of biodiversity of the region is almost matched by its ethnic diversity. The region is a meeting place of a large number of races, creeds, cultures, and languages and homeland to more than 200 tribes and sub-tribes constituting of more than 60 per cent of the communities categorized in the country, he emphasized. He said the imbalance in development and growing unemployment helps to keep discontentment alive which in turn fuels agitations and insurgency. Such insurgent activities undermine meaningful steps for genuine economic development. Only sincere initiatives from government, both in State and the Centre can help realize the dissatisfied sections, he added. RGU Registrar, Prof Tomo Riba who attended the occasion as the special guest presented an overview of the challenges faced by the North-easterners. After the inaugural session, 26 research papers were presented during two different parallel technical sessions. Prof Elizabeth Hansing, Prof Hui Tag, Prof T K Lhungdim and Dr Tabang Mibang chaired the opening sessions. Earlier, RGUTA president Prof Jumyir Basar welcomed the gathering. HoDs, faculties, scholars of the university and delegates from across the country attended the seminar. NIT Director, Prof Pinakeswar Mahanta will attend the valedictory sessionon Tuesday as the chief guest while Prof P K Panigrahi, HoD will be the special guest. 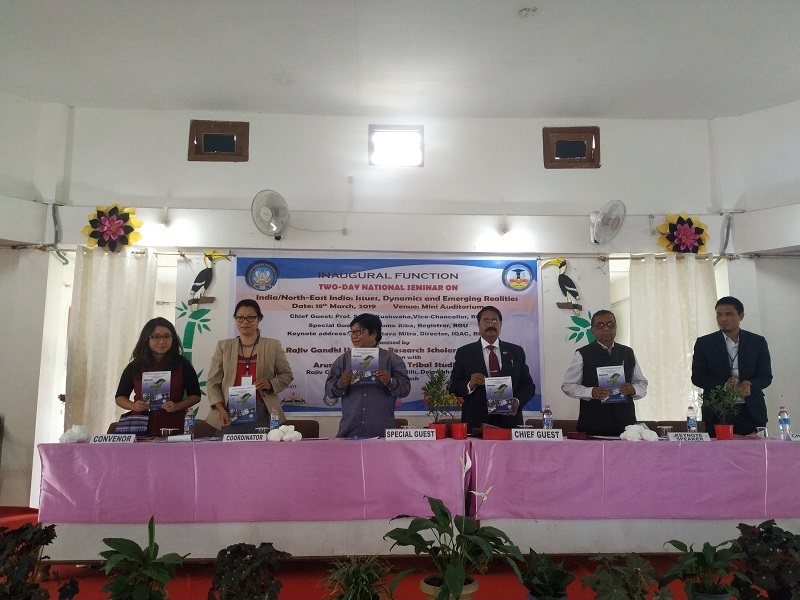 The seminar is being organized by the RGU Research Scholars’ Forum in collaboration with Arunachal Institute of Tribal Studies.